Anna Karenina: This is wrong. Count Vronsky: Makes no difference. Anna Karenina: You’ve no right. Director, Joe Wright, reunites with his apparent muse, Keira Knightley, for their third collaboration together and what will be the fourth film version of Leo Tolstoy’s classic, ANNA KARENINA. After branching out with his contemporary thriller, HANNA, Wright returns to the period pieces that made his career (ATONEMENT, PRIDE & PREJUDICE) and what a welcome return it is. Not only does Wright know how to translate potentially dated material for modern audiences without sacrificing the source, but his take on this particular tale only further establishes him as one of the world’s most exciting directors working today. For those who aren’t already familiar with it, Anna’s story is a tragic one. She was married at the age of 18 to an older politician (Jude Law), bore him a son, and for some time, her life was good. Being so young though, she didn’t know what she was missing. Enter the attractive and persistent Count Vronsky (Aaron Taylor-Johnson) and suddenly, Anna learns of something she thought she had already figured out - love. An affair will ruin her standing in society though so, with the stakes raised high, she must choose between passion and position. Wright stages this period melodrama in the only place that it can be allowed to embrace its more sensational elements, the stage itself. He playfully moves the action back and forth between a majestic theatre and exquisitely elaborate locations with transitions that energize the piece in ways that will constantly surprise and delight the more open-minded viewer. 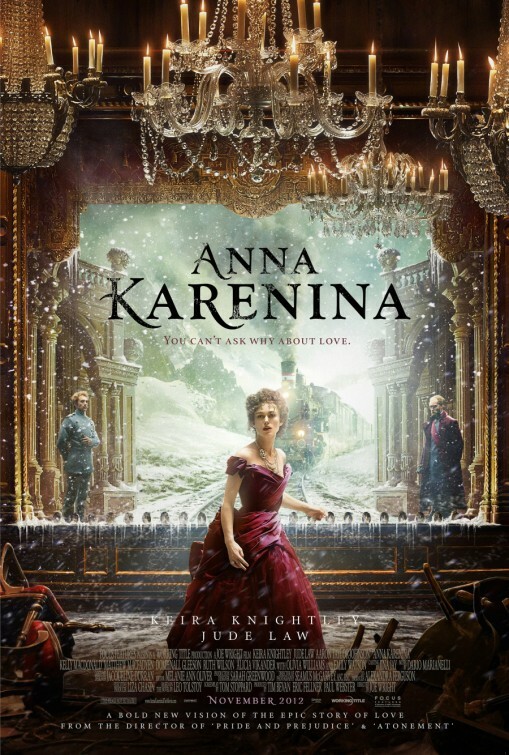 It is easy to see some more casual filmgoers being put off by Wright’s style but there is simply nothing casual about ANNA KARENINA.